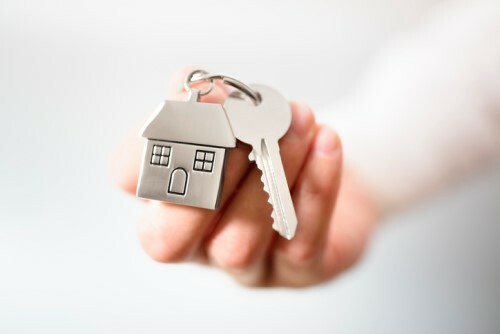 While members of the LGBT community show strong interest in owning a home, the community’s homeownership is considerably lower than the current national rate, according to a study released by Freddie Mac. Freddie Mac found that LGBT community members are less likely to own a home, are more mobile, fear discrimination when buying a home, and prioritize living in LGBT-safe neighborhoods. A survey found that 49% of LGBT households are likely to own a home, lagging behind the 64.3% rate for the general population. Exploring the diversity within the community, Freddie Mac found that gay men and lesbians were the most likely to own (52%), while LGBT African-Americans (30%) and LGBT millennials (23%) were the least likely. Freddie Mac found that there is a tendency among the community to relocate more frequently. Sixty-seven percent of respondents said they do not live in the same area in which they grew up, which is higher than the general population. Additionally, the survey found that 46% of renters fear discrimination in the home buying process. Another factor is the priority given by potential LGBT homebuyers to an LGBT-friendly neighborhood, which ranked only behind home price and safety. Although they are less likely to be homeowners, the respondents held positive attitudes about buying a home. Three-quarters of LGBT renters agreed that owning is a good financial investment, and 72% of renters said they want to own a home in the future.